It has been almost a century since Albert Einstein first made the historic prediction of the existence of black holes in his theory of gravity. These astronomical wonders have captivated our imagination ever since, and for the longest time, all we had to visualize them were artistic impressions. However, in a groundbreaking moment on Wednesday, the first ever photograph of a black hole was finally captured and we have an unassuming MIT grad student to thank for it. Taken over five days of observations in April 2017 using a collection of eight telescopes around the world known as the Event Horizon Telescope, the photograph is alluring, to say the least. It portrays a supermassive black hole at the center of M87, a galaxy which is more than 50 million light years away from our planet. The sheer distance alone means that a group of astrophysicists working with an impressive array of telescopes wasn’t going to be sufficient. Something extra was required to bring that image before our eyes, and this is where the woman who has been the toast of social media these past few days comes in. Katie Bouman, a 29-year old graduate student of computer science and electrical engineering at the Massachusetts Institute of Technology (MIT) designed an algorithm back in 2016 that enabled the creation of this historic image. 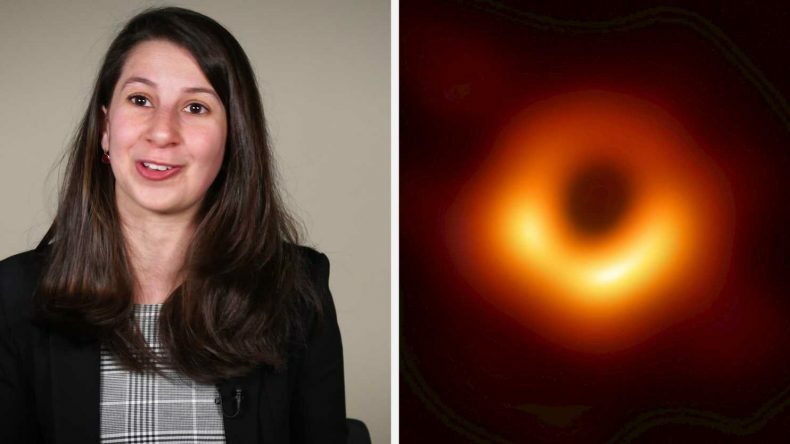 She was involved in this project with researchers from MIT’s Computer Science and Artificial Intelligence Laboratory, the Harvard-Smithsonian Center for Astrophysics and the MIT Haystack Observatory, and together they were intent upon capturing the image of a black hole. The first problem was solved by using the now famous Event Horizon Telescope, which relied on the principle of strength in numbers to collect light data from the elusive black hole. However, the second challenge remained, and this is where Bouman’s genius comes to the fore. This entire process was explained by Bouman in a 2016 TED talk entitled “How to take a picture of a black hole”. Naturally, this momentous occasion propelled Bouman to well-deserved fame, and social media platforms are still ringing with praise for her achievement. It is massively refreshing and inspiring to see a female scientist contribute to something so immense, and many people have drawn parallels with Margaret Hamilton’s work on the Apollo Guidance software.